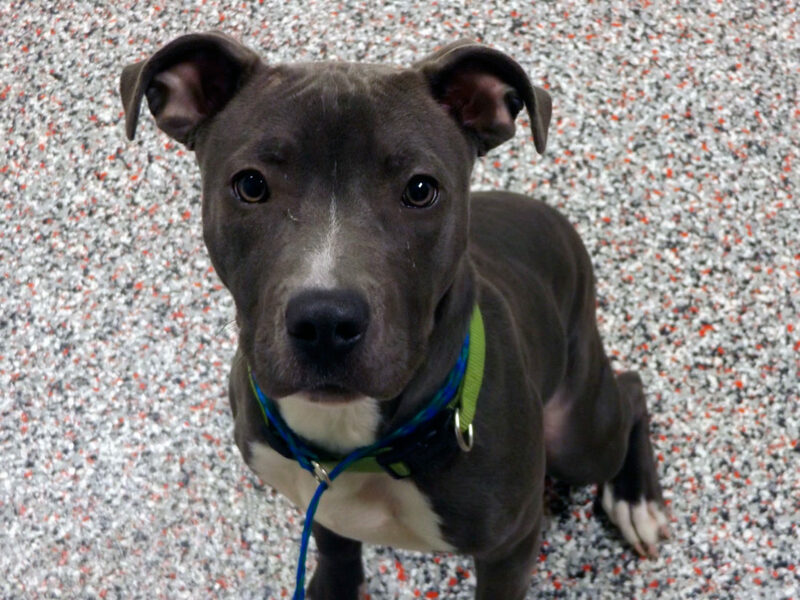 Pearl is a female American pit bull terrier and was found as a stray with no owner to claim her. She appears to be about 40 pounds and about a year old. Because she is a stray we are unsure of the past shot history. Pearl is available for adoption from the Seneca County Dog Warden for $30, which includes a 2017 dog license. If you’re interested in adopting her, call (419) 448-5097 (leave a message with your number and the name of the dog you want to adopt) or email scadw@bright.net. The dog warden’s shelter is open 8-11 a..m. Monday-Friday. Appointments can be schedules 11 a.m.-6 p.m.